If you were bringing something into your home, something that you can easily purchase or even have delivered to you, or that many people give and receive as a gift, that had the ability to kill your cat within a few hours, would you like to know? For most of us, the answer is without a doubt yes, but unfortunately, most people are not aware that most lily plants are incredibly toxic to cats. Furthermore, it appears that the flower industry is doing little to warn the public about these dangers. Lilies are a popular household plant, especially around Easter and other holidays, when they are frequently given as gifts. 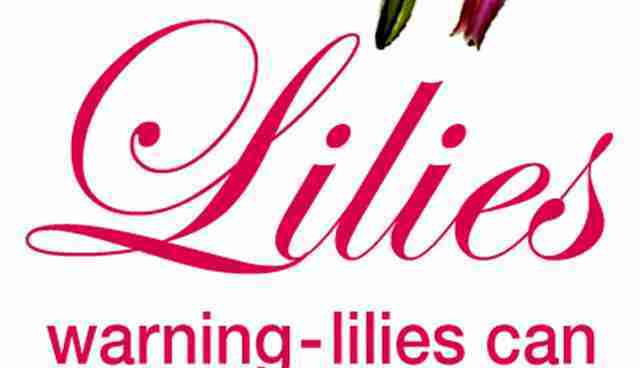 Most people purchase lilies at grocery stores or flower shops. 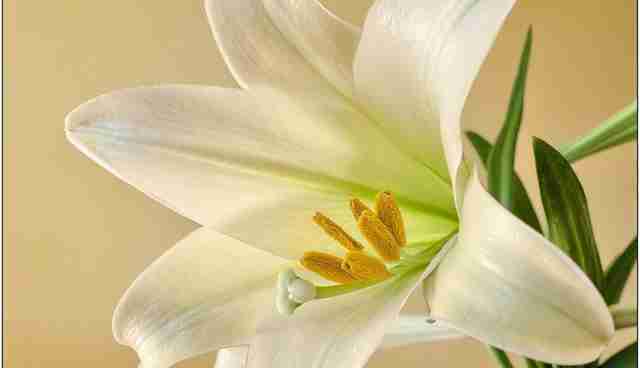 Most of the public has no idea that a beautiful Easter lily can kill a cat. In one study of pet owners whose cats had ingested lilies, only 27% of them were aware before the poisoning that lilies were toxic. Cats are attracted to many plants and will often chew them. This can be because it is fun or feels good (or tastes good) to chew them; plant chewing may relieve gastrointestinal discomfort (no one's really sure about this one); or maybe cats chew plants just to get human attention. Many cats will even jump up to gain access to plants that are left in their environment. While there are behavioral methods to deter plant chewing (such as spraying bitter apple on the leaves), in the case of highly toxic plants, the risks are just too high to take a chance. Because cats are so sensitive to lilies, even small amounts can be poisonous and deadly – nibbling a leaf or two can be enough to kill a cat. The toxins of this plant attack the kidneys, causing acute damage or failure of this important organ which removes waste and maintains the chemical balance of the body. What are the signs of lily toxicity? 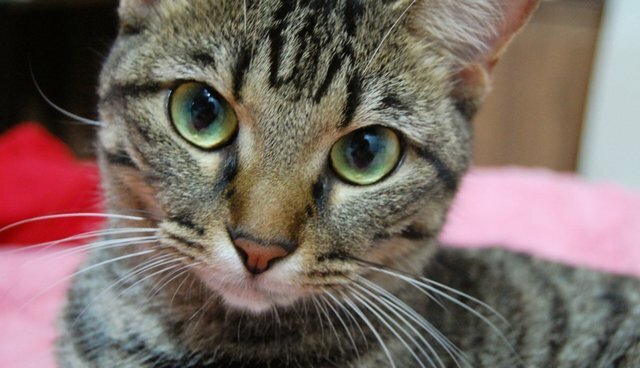 Vomiting, drooling, anorexia and depression are all signs of lily ingestion in cats. While the vomiting may stop after a few hours, the other symptoms will continue. How serious is lily toxicity? The toxins act quickly on the kidneys, shutting them down and causing further poisoning. Within three to seven days seizures and death are typical. Once lilies have been ingested, acting quickly is critical – if fluid therapy or dialysis can be administered within the first six hours of ingestion, the prognosis improves significantly. But if cats are not rushed in for treatment, death is almost certain. One woman lost three of her cats to lily poisoning in one day; and one man sued a grocery store for not providing warnings about lily toxicity when his cat became ill and needed dialysis after eating a lily. He wanted the store and the floral supplier to add labels to their lilies, and sued both when they refused. What is the flower industry doing to help? Many rescue groups, adoption agencies and animal protection websites offer information about the dangers of various poisons to pets. I decided to explore what the flower industry is doing on its end to help educate pet owners and other customers (who might be buying flowers as gifts for pet owners) about the dangers of lilies. First I called a local grocery chain with a floral department and asked them if they sold Easter lilies. They said they did, but when I asked if their floral staff was aware that Easter lilies were toxic to cats, the staff person said they "weren't sure, I would have to check the label on the flowers." They weren't willing to check the label for me over the phone, so I went to the grocery store myself. There was no warning on any Easter lily plants, just a UPC code and a price. At a second grocery store I phoned, the florist department worker said that they "hadn't heard that lilies were poisonous to cats, only poinsettias" (note: while poinsettias are considered slightly toxic, the risks are considered overstated). They told me they do not offer any warning about pet safety and plants to clients. I checked several florists' websites to see if they had any safety warnings on their lilies. I went to 1-800-FLOWERS, FTD, and ProFlowers and found ZERO warnings on any web pages featuring Easter lilies. I had a "live chat" with an assistant at an online florist, and asked them if lilies would be safe in a home with cats. The assistant did not know the answer of the top of his head, but did check and reported back that most lilies were toxic to cats. Finally, I visited a few flower shops to see if there were any warning labels on the plants. While the plants were not labeled, the staff seemed slightly more aware of the issue. At the first flower shop, I asked if they had a list of plants that were dangerous to pets. The staff person said no, but then she asked if I had cats. She offered that she knew that lilies were "bad for cats." I'm not sure she would have given this information if I hadn't asked, but at least she knew about it! At a second flower shop, the person I spoke with was definitely knowledgeable about lily toxicity. But does she ask customers buying lilies if they have cats? Sometimes. "But not always. I would be asking people all day long," she noted. She also informed me that flowers sold at florists don't typically come with any tags, making it difficult to "label" flowers with safety warnings. So now you know about lilies... what's next? • share this article or information with your friends • if you have cats, don't bring lilies home; and don't buy lilies for friends with cats • ask your florist to put up signs in their shops about the dangers of lilies to cats But what strikes me is why can't flower companies create warning labels for dangerous plants? icatcare.org has a lily awareness campaign, trying to encourage veterinarians to lobby for warning signs wherever lilies are sold. They encourage anyone to pass their flyers along to veterinarians and florists. I think it's way past time for us pet-lovers, veterinarians and politicians or others with lobbying power to come together and let the flower industry know that we want some type of labeling (be it tags or signs) that makes customers aware of the safety hazards of lilies in the home, when that home also has cats. If you have other ideas as to how we can achieve that goal, please share them here! 1. If your cat has recently eaten a lily and has not vomited, call your veterinarian to see if you should induce vomiting before bringing her to an animal hospital. 2. Call the nearest animal hospital or the Pet Poison Helpline at 1-855-213-6680. 3. The sooner she gets treatment, the better her chances are for survival. And if you can, bring a piece of the lily plant to the hospital. Cat photo by anaa yoo via Flickr/Creative Commons; Easter lily photo by Joe deSousa via Flickr/Creative Commons; lily awareness image from icatcare.org. Editor's Note: Since the publication of this article, ProFlowers has published "199 Poisonous Plants to Look Out For."